This caught my attention partly because Navajo is a threatened language – while there are 150,000 speakers at last count and several thousand monolinguals, the word on the wire is that Navajo is losing ground to English among the youngest in the Navajo community – and children are, after all, the ones who decide a language’s fate. I also had this question in the back of my mind – could a human language be used in such a way today? Granted, we have sophisticated computer encryption that pretty much renders any human generated code obsolete. But say for a moment that we didn’t, or couldn’t use digital technology… do we simply know too much about what is possible in human language? And failing that, is there any language out there esoteric and isolated enough that it could be put to such use? First, to clarify, there is nothing inherent about the Navajo language that made the code uncrackable – a quick perusal of the recent press turns up descriptors like “ancient language” and “complex grammar” which could apply to any human language. The phrase “near isolate” also doesn’t make sense because Navajo is a language with many linguistic relatives in the Athabaskan group throughout the Southwestern US, Canada, and Alaska. What made the code uncrackable at the time was a combination of factors – physical and social isolation of the Navajo speech community certainly did, as few non-Navajos spoke the language. Also, little was known linguistically about the language at the time, and linguistics outside of philology was itself a fledgling field of study. 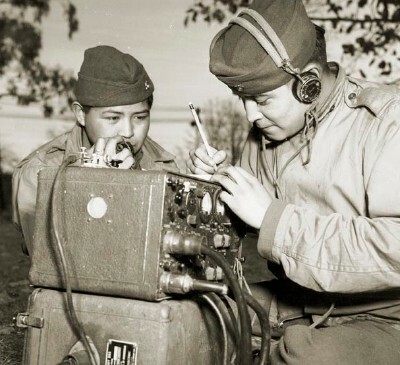 Most importantly, the code wasn’t just everyday Navajo, but a cipher based on Navajo with word-replacements like “tortoise” for tank or “iron fish” for submarine as well as Navajo substitutions for English military acronyms. A Navajo speaker was in fact captured and tortured for his knowledge at Bataan, but since he didn’t know the cipher, he was just as befuddled as everyone else. I wonder though whether a linguist today with a basic knowledge of the language, and/or access to basic tools like a grammar and dictionary, transported back to that time might have figured it out, given enough data and the context in which the messages were delivered. A relatively few cracked messages could render the essential cryptographic key. Do all human languages have such basic description? Far from it. My best guess based on what we’ve been able to find for The Rosetta Project is maybe one half of all human languages? A third? Without this, the decryption task would have to encompass basic linguistic analysis as well. So is it possible that a human language in this day and age could serve the purpose? Maybe, maybe not — I welcome discussion. But if not – and here’s the real question on my mind – are we linguists done? Can we pack up our bags and go home? Although I think we understand something about human language – maybe a lot more than we did 70 years ago, it would be extreme hubris to say we really get all there is to human language at this point. I expect there are plenty of surprises in store even as far as grammatical structure is concerned – and at every level of structure. Many of the more interesting questions are likely to relate to how language is used in its cultural context — like the Pirahã avoiding speaking about the remote past because it is inaccessible to eyewitness verification. That many lifetimes could be spent puzzling it all out is one of the great joys of linguistic discovery. And to my way of thinking, the surprises about our human selves that lie in store is a primary reason to pursue language documentation as one of the great scientific and intellectual enterprises of our era.